Even as auto technology and safety features become more advanced, car accidents are on the rise claiming the health and lives of drivers across the country. In 2016, more than 40,000 people were killed in car accidents in the United States, with an additional 4.6 million injured or disabled. Regardless of your experience behind the wheel, it is never safe to take your eyes off the road. On average, accidents occur after only three seconds of distraction. Whether you are eating, talking, texting or adjusting your radio settings, you are putting yourself and others on the road at risk. 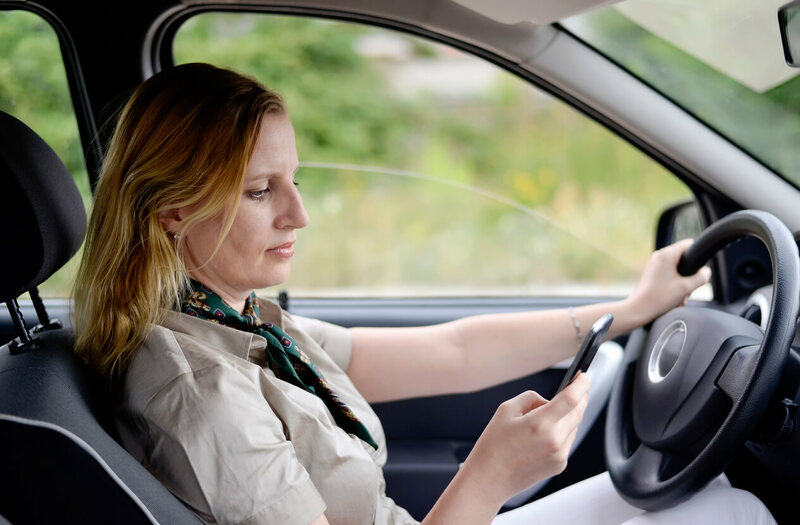 To avoid car accidents resulting from distracted driving, you should avoid using your phone while behind the wheel. If you absolutely must receive a phone call while driving, you should use a hands-free device such as a Bluetooth headset. Never text while driving; safely park your car before replying to any text messages. If you’ve just been through the drive-through, wait to eat until you have arrived at your destination. Driving under the influence of alcohol poses a great threat to your safety as well as the safety of others on the road. Drinking even small amounts of alcohol have the potential to greatly impair your ability to operate a motor vehicle. At just .05 percent blood alcohol concentration (BAC), which is less than the legal limit in most states, your chances of getting in a car accident double. If you have been drinking, do not risk a drunk driving accident. Instead, call a taxi, take an Uber or Lyft, or call a sober friend for a ride. According to the Governor’s Highway Safety Association, speeding is a leading factor in nearly one third of all traffic fatalities. Speeding reduces reaction time and increases the likelihood of a car accident. In addition, speeding tends to make car accidents worse when they do occur. Slow down, obey the speed limits, and keep a safe distance between you and the cars you follow. Reckless driving involves a complete disregard for the rules of the road. Running stop signs, changing lanes without signaling, and making improper turns can greatly increase the risk of a car accident. By obeying traffic signals and adhering to the laws of the road, you can avoid preventable car accidents. Snow, ice, rain and fog can impair your ability to safely navigate the road. Slippery surfaces can make braking difficult (if not impossible), and heavy rain and fog inhibit visibility. If you find yourself driving in bad weather conditions, you should pull off the road until you can safely drive to your destination. While taking precautions can reduce the risk of being involved in a car accident, there are never any guarantees. If you have been injured in a car accident, contact Steinberg Injury Lawyers at 1-800-989-6385 today for your free case evaluation.